Since streets become increasingly crowded, living on the top of a building promises privacy and distance. Rooftops have become the symbol of a new lifestyle - an extension and exclusive enjoyment of an area traditionally unused: the architectural crown of a building has been transformed into a new area for work or living. Architects, designers and town planners have seen in this final section of a building their last chance to let their fantasies run free and to dramatically shape the cities&apos; skylines with extensions, attics and unique tops. 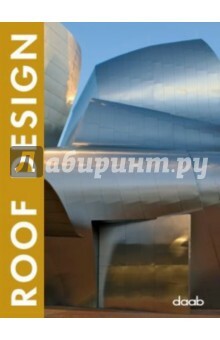 This volume delivers a very close insight in the divers possibilities of the roof design of residential, corporative and other buildings. About 200 projects present the different types of roofs: Pitched roofs, flat roofs with planting vegetation, roof garden as a pool area or further floor space. An index with the contact dates of the designers is enclosed.